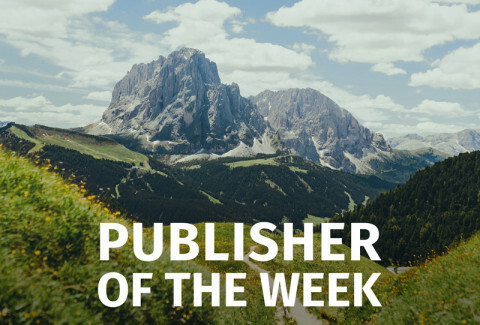 This week we kick-started a new series called Publisher of the Week where we highlight publishers sharing amazing routes in ViewRanger. Happy exploring! Summary: Archaeoroutes features a range of routes, mostly in wild places, which visit interesting archaeological sites. Each route includes pictures and descriptions of the sites as well as historical information. Alasdair Shaw, founder of Archaeoroutes, says: "When I did my Mountain Leader assessment I was unsure what to give my talk about. I had always been interested in flora, fauna, geology and archaeology so couldn't decide what to focus on. As it happened my first navigational leg of the expedition was through an area rich in Bronze Age structures. I pointed them out to the other candidates as we went along, explaining what they were and theories about why they were there. They were surprised at how much could be learnt from surface features. Later on in my tent I started thinking that I could help more people appreciate landscape archaeology. Archaeoroutes was born!" Stalldown: This 6.2-mile loop passes stone circles and ancient building foundations dating back to the Bronze Age. Favourite Feature in ViewRanger: “The ease of sharing information about walks. It's why I chose to use Viewranger over its competitors, and why I always speak highly of it whenever asked to advise on mapping software for smartphones,” says Alasdair Shaw. More info: Follow Alasdair Shaw of Archaeoroutes on ViewRanger at: https://my.viewranger.com/user/details/36040.